Practical, challenging and a must have! Module 4 tests your understanding of dream interpretation and I can submit that completing the other three modules without this one is like going to driving school and never driving a car. This is where you deepen your understanding of dream interpretation and I am so excited that I came this far. Thank you Rev Lyn for your instruction. 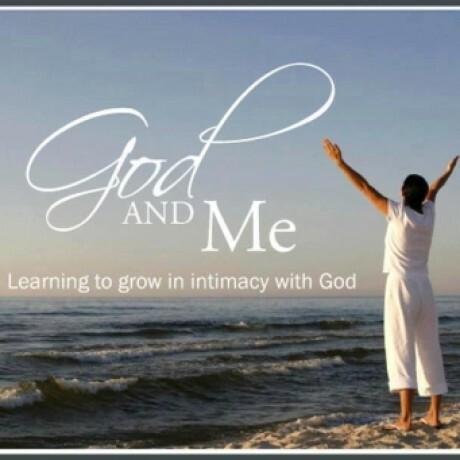 This course is a blessing directly from heaven’s throne; it encourages us to grow and commune with our Lord towards a more intimate relationship. Dr. Lyn is such an authentic soul and a beautiful blessing. I am very grateful to have been privileged to take the course. I enjoyed taking this course and am especially thankful for the solid biblical foundation adhered to in these courses. The keys are explained/taught in an easy to follow format. The technical support and instructor feedback are excellent! I appreciated the encouragement given and also the tutorial-style feedback from my instructor. 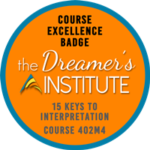 I would highly encourage this course to anyone pursuing a deeper understanding of their dreams and dream interpretation. I am thankful for this module, and it is a wonderful conclusion. 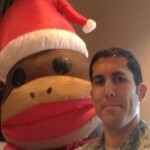 The practice tests and the modules and the instructor explanations are very good for remembrance and practice. I am very thankful to be a part of this! What a great resource for Christians wanting to grow in understanding of dreams. This program is built on the solid Biblical approach to dream interpretation. The course material and examples are from the Bible and the role of the Holy Spirit is an “absolute must” in the interpretation and application of the dream elements. Not only was the material well organized but my instructor was also “reachable.” She responded quickly to questions and gave me the feedback I needed to grow. While she was encouraging, she also let me know when I needed to consider another perspective. My advice to anyone considering this course….Look forward to being immersed in wonderful gift of dreams. Not only will this course help you understand how God communicates to us through our dreams but it will also take you “neck deep” in the principles and practice of dream interpretation. Be prepared to take notes and apply what you learn. The first couple of exams are pretty easy to pass… but don’t let them fool you. They grow progressively more challenging and by the end of the course you have to apply the principles you learned to “real” dreams. I deeply appreciate having the opportunity to take this course and highly recommend it to my brothers and sisters in Christ. Loved my time immersed in the course! Be prepared to learn a LOT more than you anticipated as there is a significant depth and breadth to the material. Don’t be surprised if you start to have more prophetic dreams as well! The feedback you receive throughout the process is insightful, personalized, and definitely helps you build your interpretation skills. Truly blessed to have found the Dreamer’s Institute and looking forward to being a continuous part of the community! A Great class! Great revelation. Really worth taking. Great theory and great practical application. Loved it!